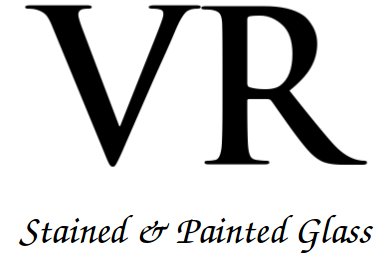 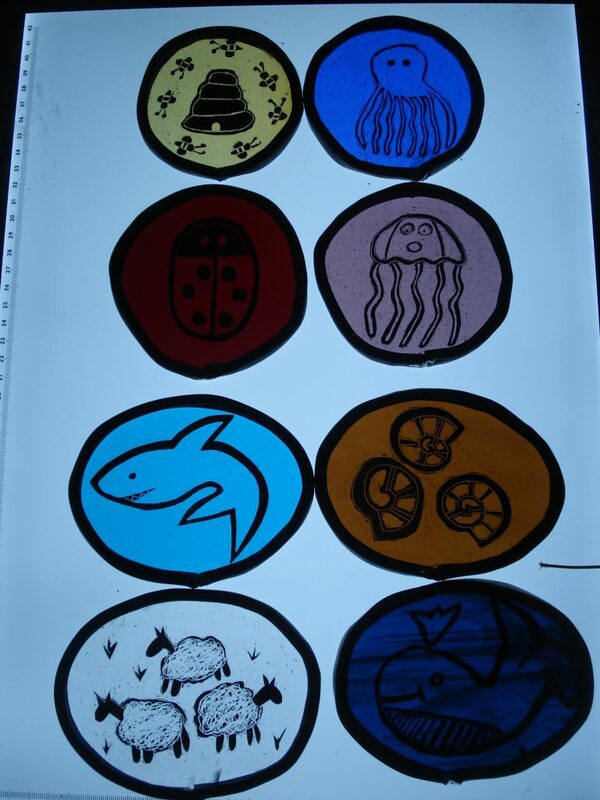 Below is a selection of some of my previous pieces. 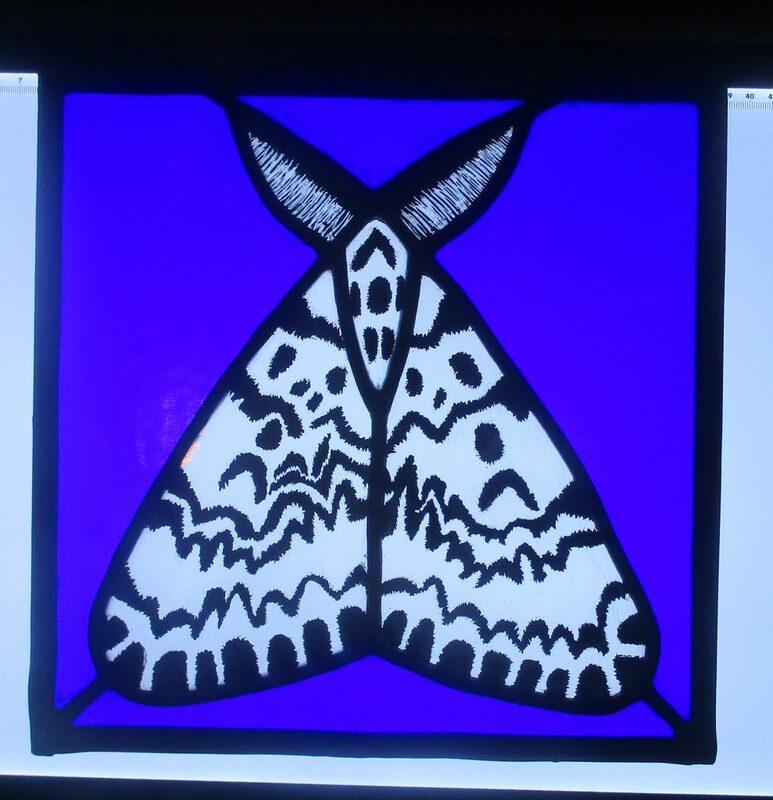 Painted Black Arches moth on the light box. 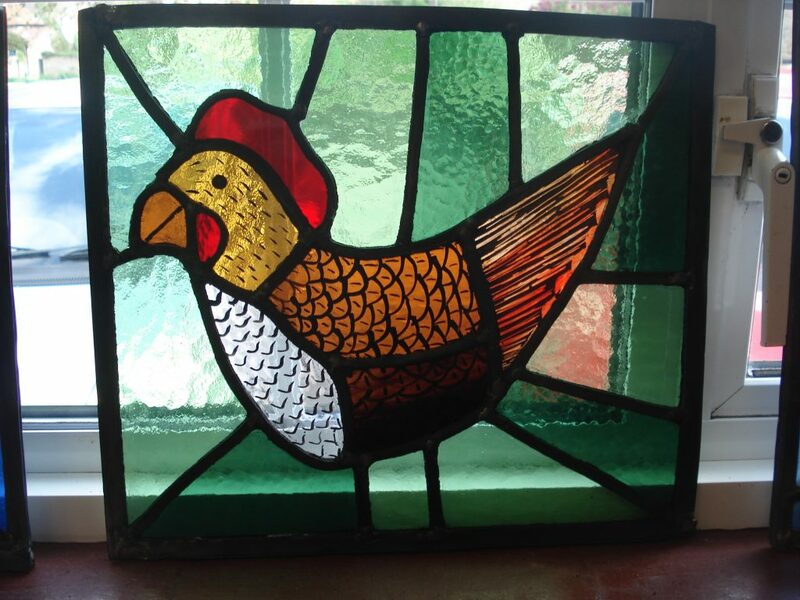 This painted chicken was inspired by the hens I keep & looks particularly like Hermione the hen. 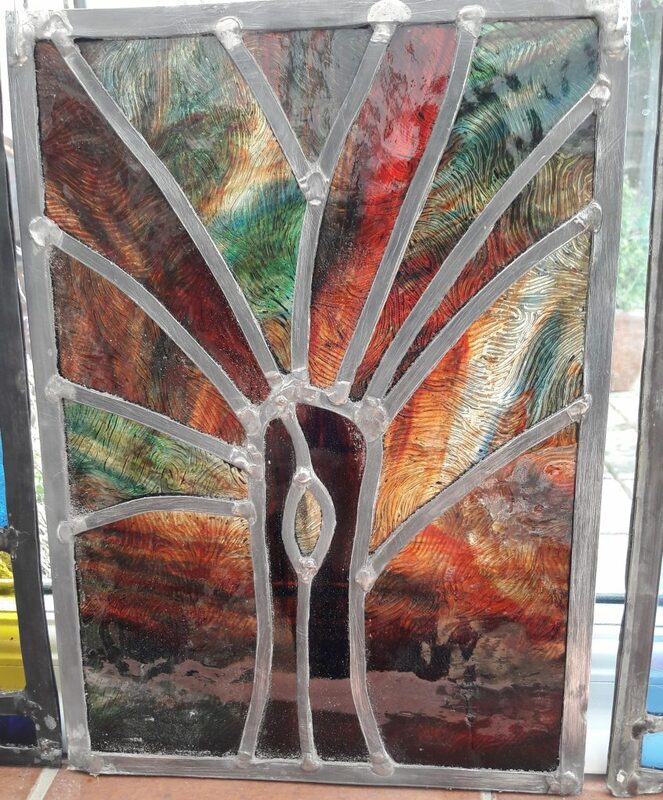 This mermaid panel is a design by Jody & Delina Sheppard. 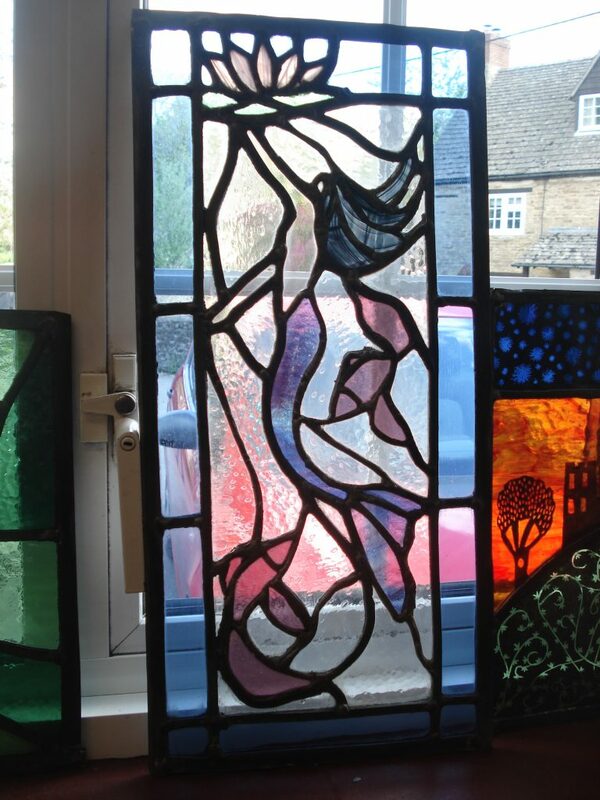 I chose purples as the main colour for the mermaid and fish and black baroque glass to add texture to the hair. 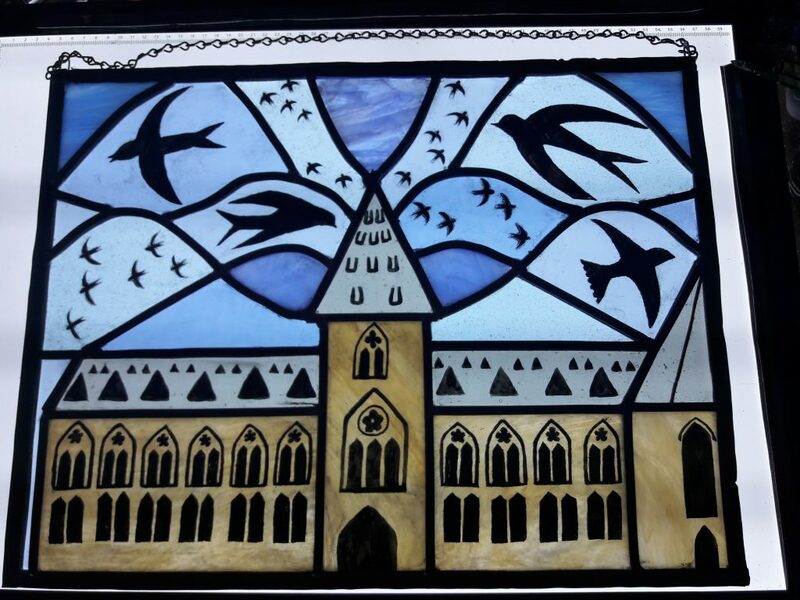 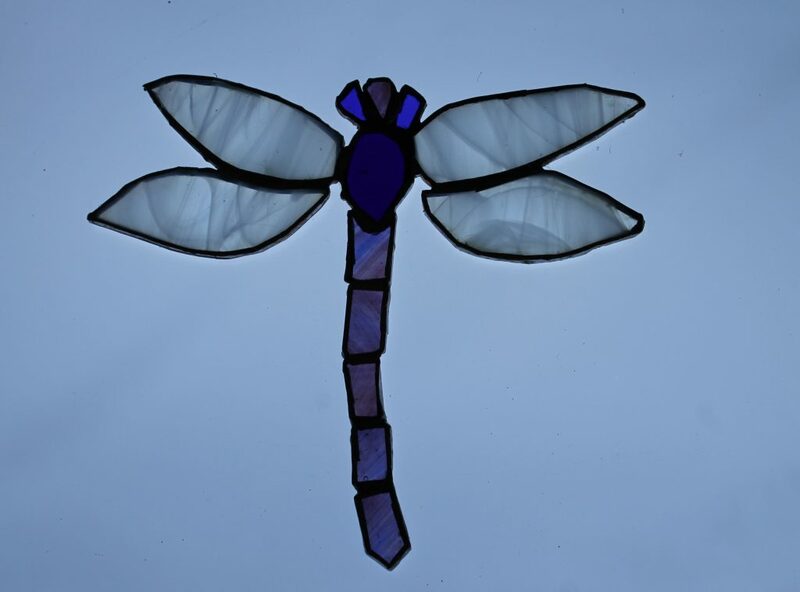 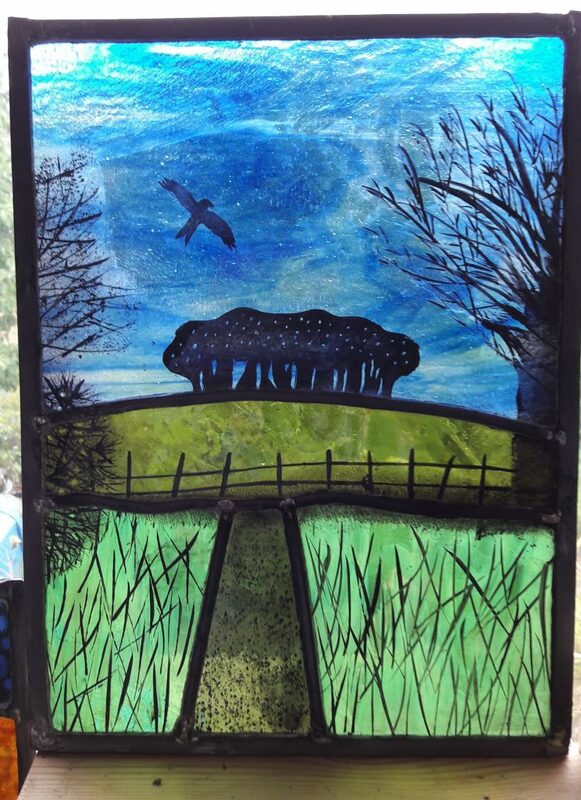 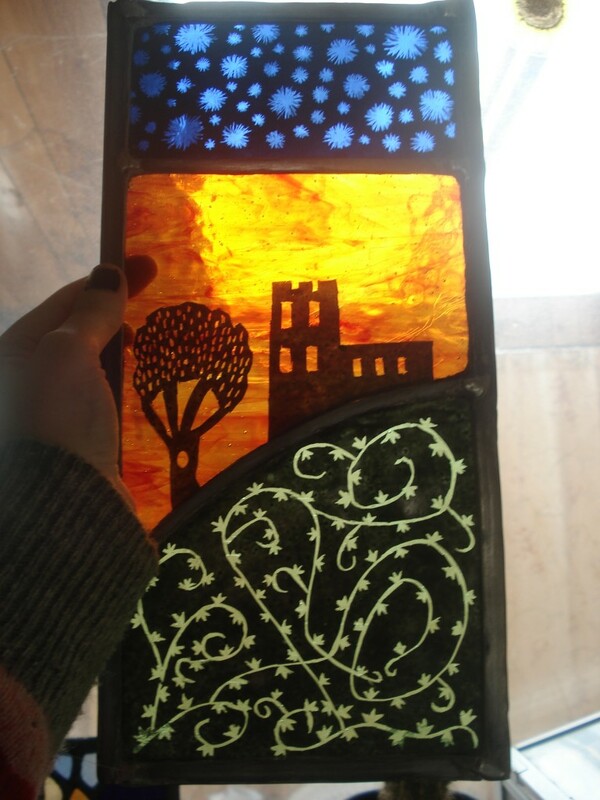 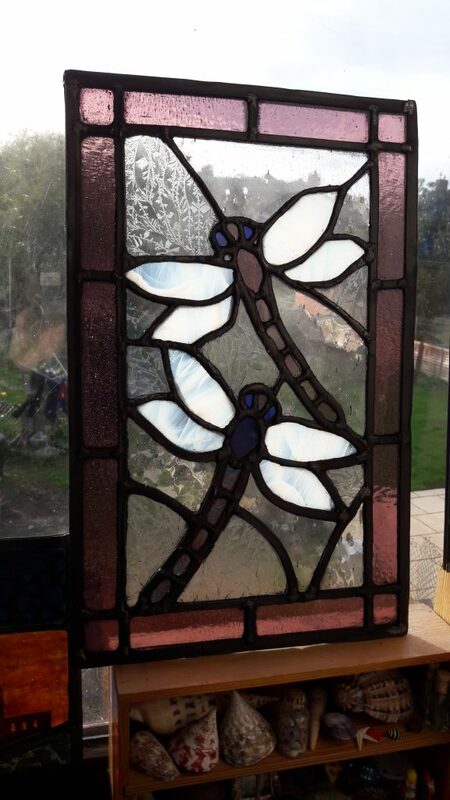 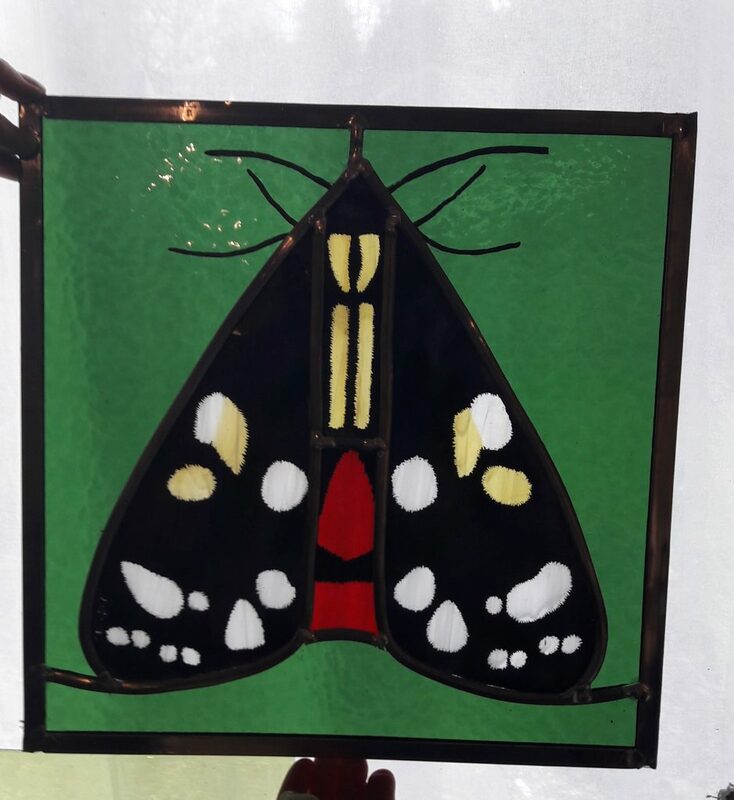 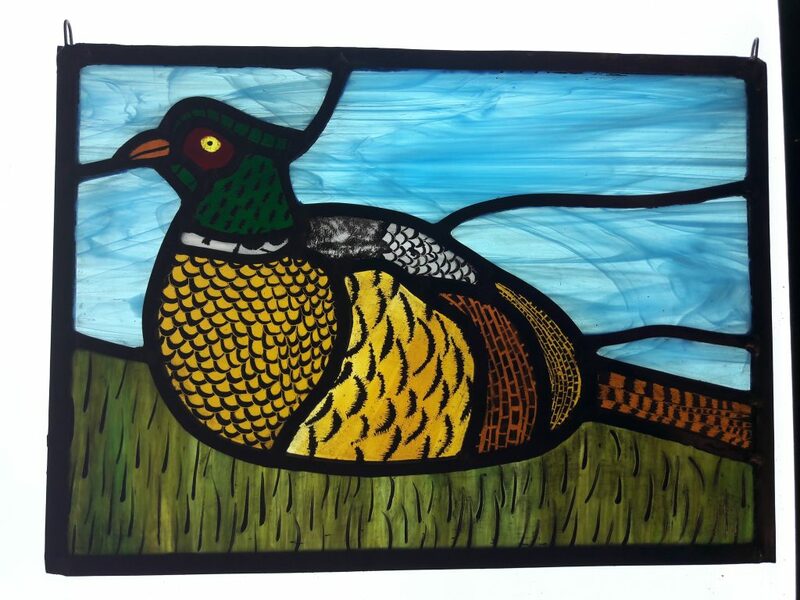 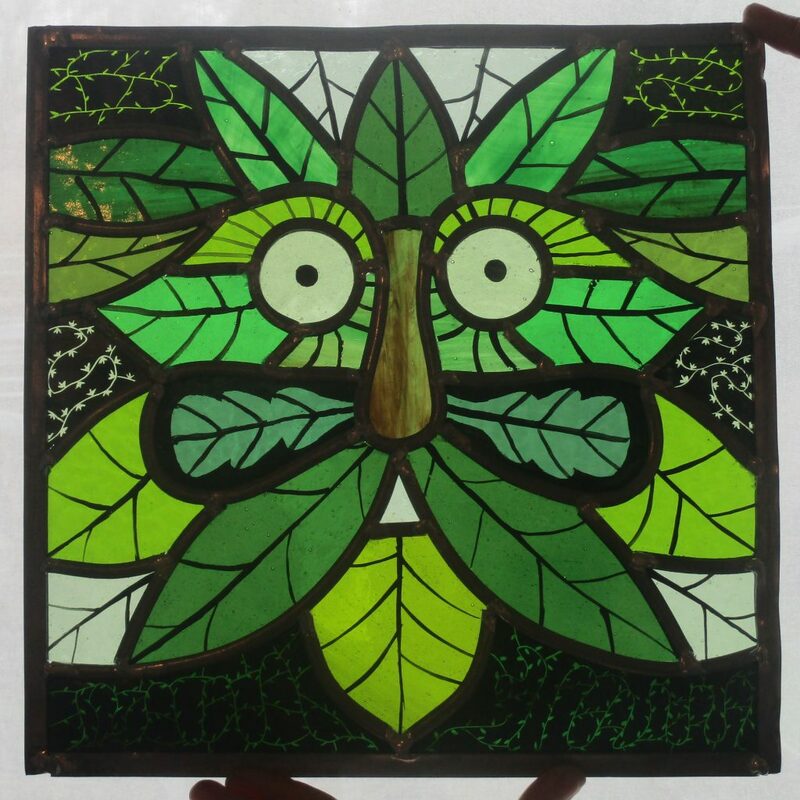 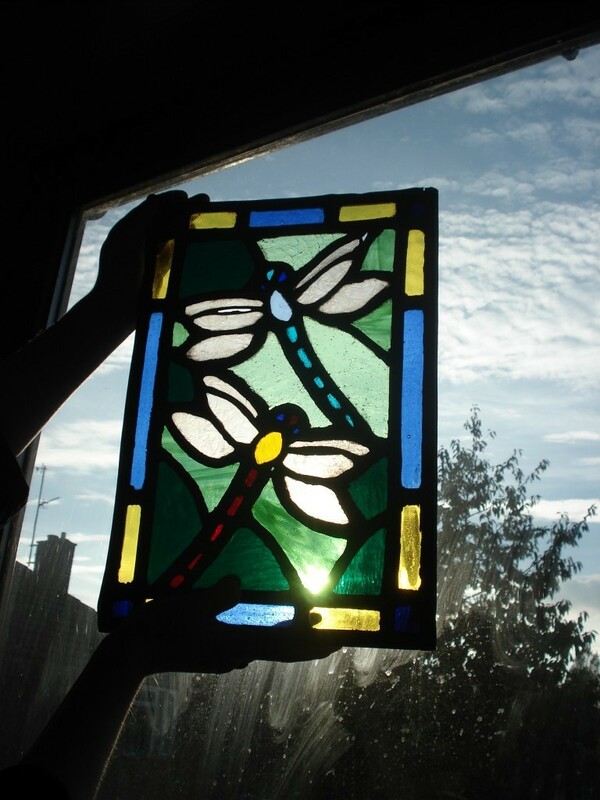 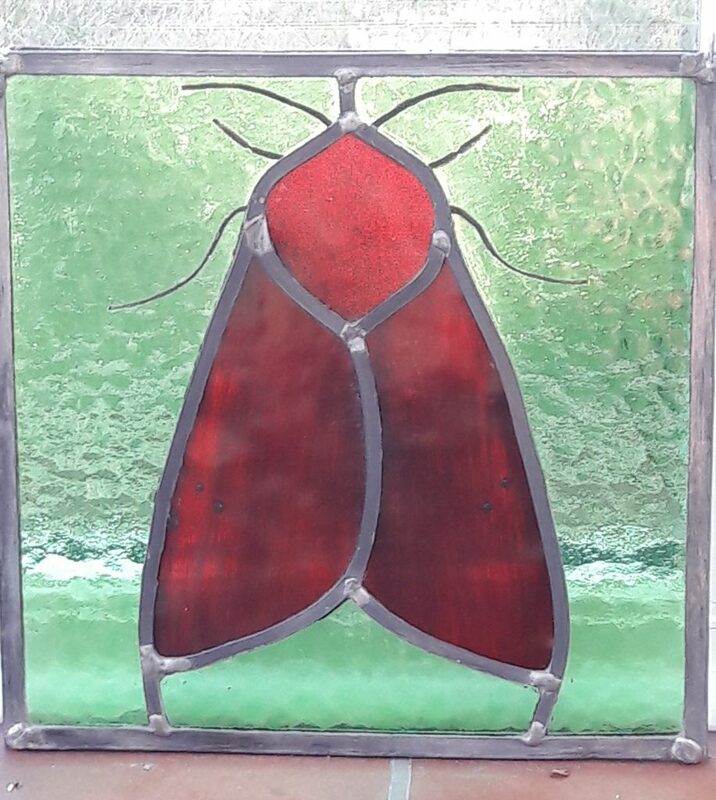 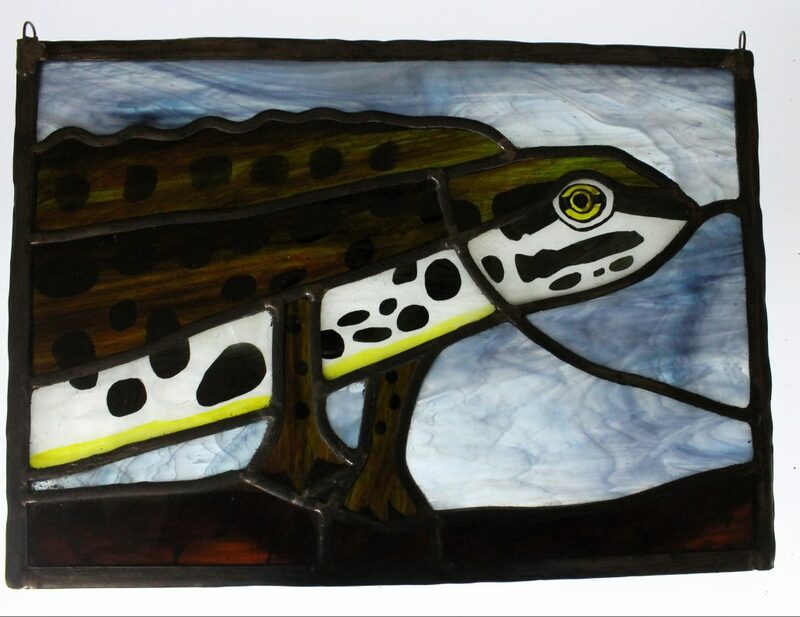 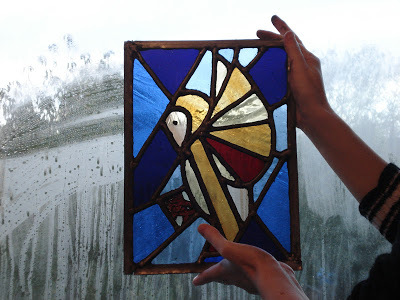 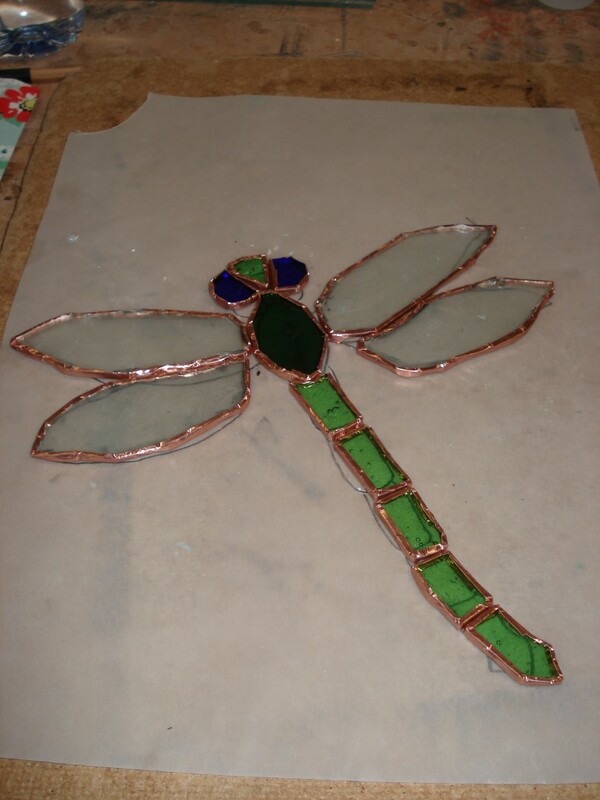 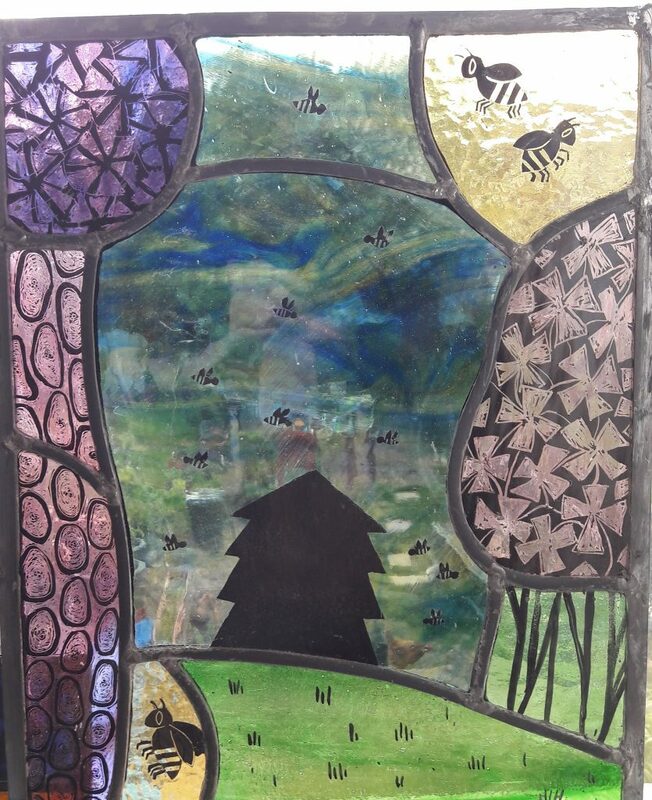 This is a small suncatcher completed at a painted glass workshop. 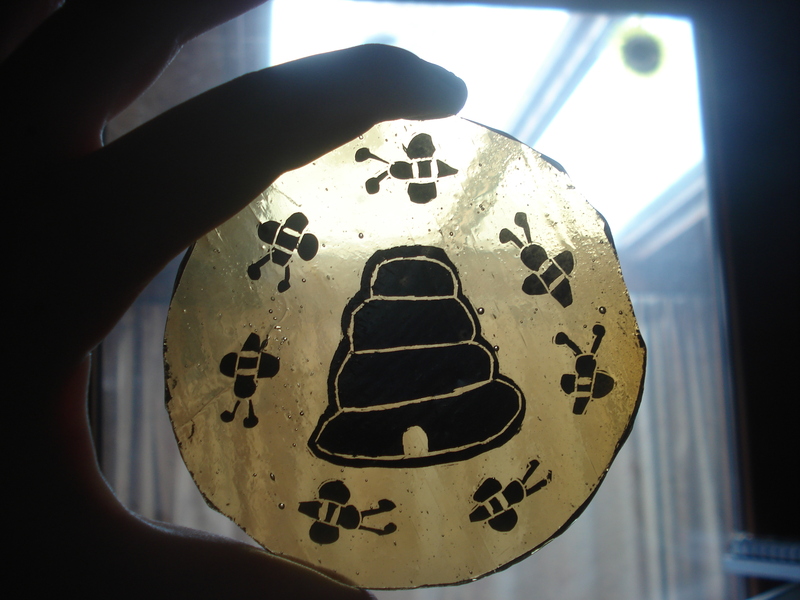 It’s called ‘waggle dance’.